Hardwar is the spiritual rebirth of elite, brought into the world of solid 3D games like unreal tournament althought don't be expecting the same graphics "quality". I've added a walkthrough of the game, with a few hints/tips & comments, I suggest you try to play the game for a while without reading it then when you've exhausted what you think you can discover by yourself see what software refinery really had in mind for you to do. As well as my own content & discoveries/tips etc. A main aim of this site is to bring together links to the best hardwar sites on the web & also keep those links up to date. I've also uploaded some files you'll find useful in exploring the possibilities of hardwar. By far the best site i have found so far is captain zedo's see the link on my nav bar to explore that for yourself. 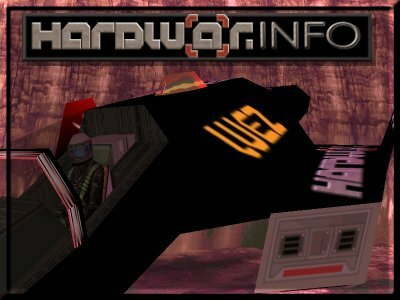 Hardwar itself is an open ended game inheriting something from elite (showing my age i know but i played that game when it was new), but bringing it kicking and screaming into this century like no other game I have found. You fly a solar powered moth (earth bound "spacecraft") which you can upgrade with various weapons, fit a cargo pod to trade goods throughout the moons craters adding a drone lets you scavenge for cargo dropped by other moths normally when they have been killed by pirates (you can be that pirate, for a quick profit & a price on your head), carrying valuable cargo can draw hostile attention to yourself so you can choose to stay and fight or run and sell your cargo, unlike most of the space trade games i've played in the past "including elite" the trade action is fast no more trying to fly for 15 dull minutes before you get to somewhere to sell your cargo. There is a point to all this trading money really does make the world go round, you can upgrade your moth to faster more robust moths and buy hangers where you can repair damage to you moth for free & offer that service to other pilots for a fee. "Titan, A freezing moon within our own solar system. A neglected mining outpost, established centuries ago within a series of craters. Once, it proved to be a profitable enterprise, but the corporations backed out, leaving the staff and colonists to fend for themselves. This is the bleak city of Misplaced Optimism. Factions have formed in the intervening years. A political and military stalemate has evolved, where organisations hoard and grudgingly trade the scare resources in an attempt to survive. All the time, they watch for a break that may tilt the balance of power in their favour. The factions themselves are not the wholesome corporations they once were. Their distrust has led to the use of some extremely unorthodox methods, always keeping the power and control among a select few. Centuries of interbreeding, mass cloning, genocidal class cleansing, sterilisation and other spiteful operations have all contributed to shape a race that can only tenuously be labelled "Human". After two hundred years of isolation, the inhabitants have become both morally and genetically corrupt. Little will motivate these souls, but there is one common desire: To leave this cold, harsh rock. Those who earn their wings can make a good living, whether they work as traders, or become entwined in the ferocious power struggle that has emerged from the ever growing social tension. Information, thoughts, feelings and rumours are echoed around the city by the neutral, but informative Hardwarp FM. For many, it's a way of holding onto sanity, but for others? It's an opportunity..."
Above and beyond flying and trading and bounty hunting (killing a pirate for a police reward) there is an underlying plot to this game that adds atmosphere and a sense of being part of a bigger picture to this world, your ultimate aim if you chose to follow the plot is to escape the gravity of this world and leave for good, thanks at times to the walkthrough at zedo's I managed that myself a few weeks ago, despite having this game for years i was so caught up in the action flying and trading and killing i'd never explored that very far before... it's well worth doing so at least once it explains a lot about the game and gives you a great insight into what all the families and gangs are fueding over. Hardwar has a loyal following and a growing community of online players despite the poor online performance. Check out the planethardwar link on my nav bar to contact them and join us. After a while you'll develop the skills to kill the computer AI pilots without giving them much chance to fight back, that's when online play really comes into it's own, there's nothing to beat flying against a skilled human pilot. It's pretty much a matter of luck if you can find it for sale at this time, some of the folks on the forums might have an extra copy they've picked up. You can download a demo of the game patches to the latest release & other programs that ad extra features to the game, like the excellent hardluck.exe which lets you view the world through the eyes of the other pilots flying around plus other things I haven't had time to explore yet. If you haven't got and have exhausted all your local stores trying to find a copy you can buy theirs a patched demo version now available for download here. You can play the full game but won't have in game music tracks or video clips, also it will mean you can play online with other hardwar players. But I recommend you continue to look for the full game as these extra's add a lot to your enjoyment and understanding of the game. Software refinery was working on further enhancements to this and other aspects of the game, but unfortunately they had to quit & have shut down.